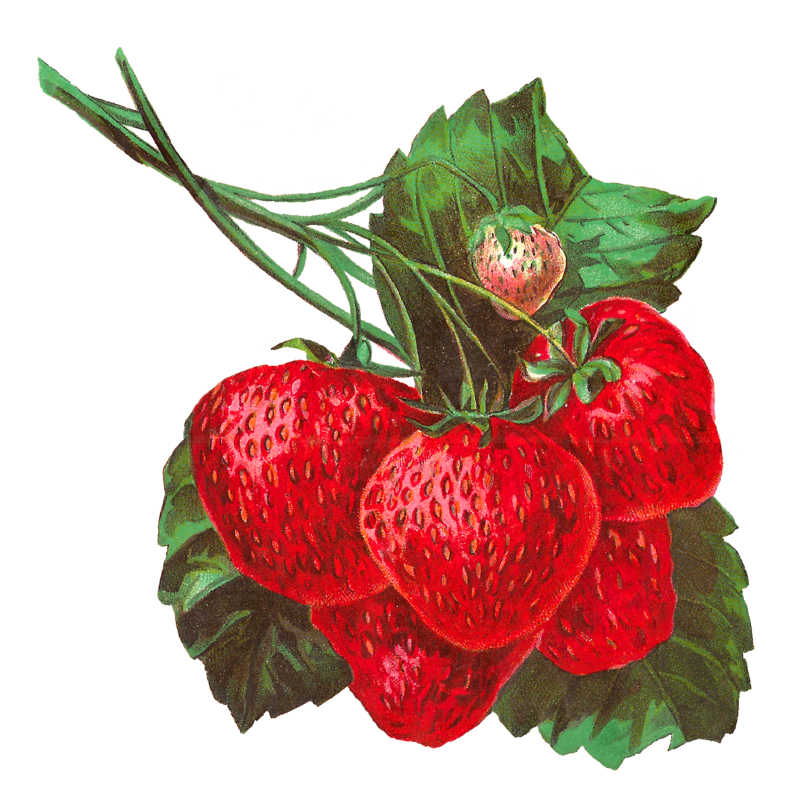 This is a stunningly brilliant digital strawberry clip art download that would be perfect on a handmade label for homemade strawberry jam! The beautiful fruit artwork of a cluster of ripe strawberries could also decorate handmade recipe cards and so many other crafting projects. 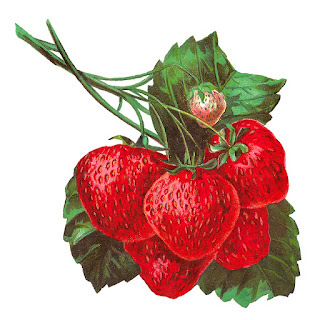 A nice touch to this digital fruit image is the tiny, not-yet-ripe strawberry hanging over the lucious ripe ones.